For quality antique furniture in Kent or exceptional accessories for your home, make sure you pay a visit to Old English Pine. 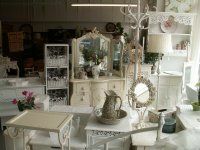 Like an Aladdin's treasure trove with extensive showrooms, huge choice, large stocks etc. You won't believe your eyes. Everyone is welcome to browse and enjoy a complimentary cup of coffee. So for quality oak and pine furniture in Folkestone, simply pay a visit and prepare to be amazed. Old English Pine has been established for over 30 years and thanks to our extensive range of products that we have available, you won't need to look anywhere else for quality furniture. It's not just furniture that we have in store however as we also have an extensive range of homeware that will help turn your house into a home by adding your own touch of charm and character to it. 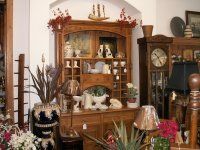 Our store has 3 floors of quality, bespoke antique and reproduction furniture available for your browsing pleasure, and we're sure that you will find something you like, such is the extensive range that we have on offer. We are proud to boast a strong customer base that come from all over the region to find some of the very best pine, oak and French style white painted furniture, as well as quality homeware. Our furniture store is located in Sandgate near the town of Folkestone in Kent, and we are happy to provide a delivery service throughout Kent for a pre-arranged price. 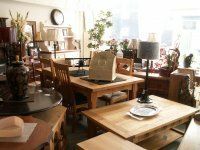 We take great pride in not only the extensive range of stock that we have in store, but we also take a great deal of care in only stocking the very best furniture and homeware. 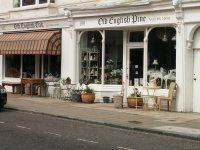 So if you're looking for quality antiques in Kent, come to the region's experts here at Old English Pine. Find our showroom easily by using the map on our find us page. You can also get in touch with us through the details listed to the side of the screen. If you're looking for stunning antique furniture in Kent, look no further than us.